Former The Apprentice contestant Stuart “The Brand” Baggs has been found dead at his home on the Isle of Man, police have said. He was 27. Stuart Baggs’ body was found by police after they were called to a property on Central Promenade in Douglas on July 30. A police spokeswoman said the cause of death was “unknown” but not thought to be suspicious. The Plymouth-born entrepreneur lived in the Isle of Man for most of his life and ran a telecommunications company. 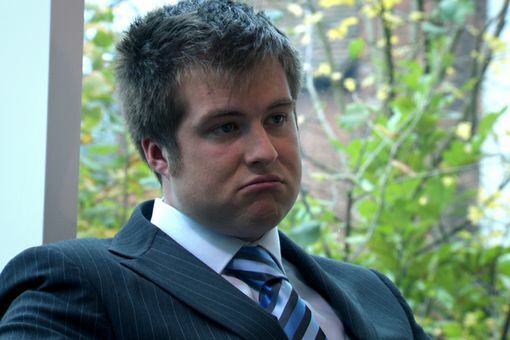 Stuart Baggs was the youngest-ever candidate when he appeared on the BBC One show in 2010, at 21 years old. Inspector Michelle McKillop said: “We can confirm that there was nothing in his room or anything about his condition that indicates to us any cause of death. There was “nothing to indicate that his death is criminally suspicious at this time”, and the death would be fully investigated on behalf of the coroner, a police spokeswoman added. Stuart Baggs, who was fired in the semi-final, became famous for his one liners which included “Everything I touch turns to sold” and “I’m Stuart Baggs the brand”. The Apprentice was eventually won by 30-year-old investment banker Stella English from London. Stuart Baggs launched his company Bluewave Communications in 2007 and had held a press conference on July 28 to launch his latest product on the Isle of Man – a home hub. He tweeted about the success of the launch on July 29.